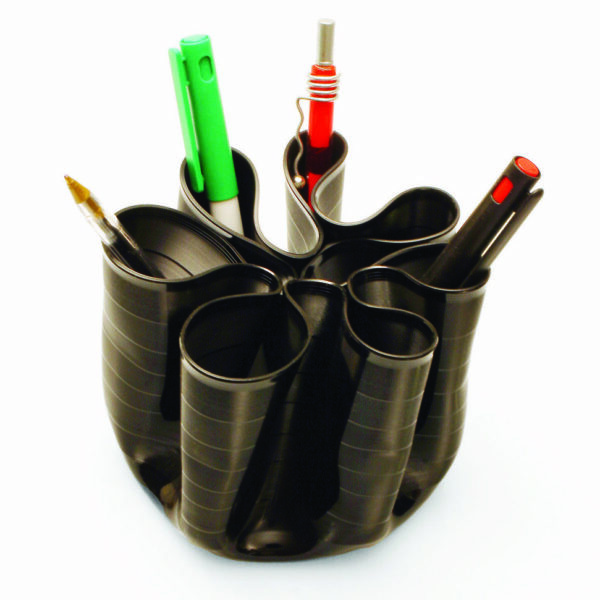 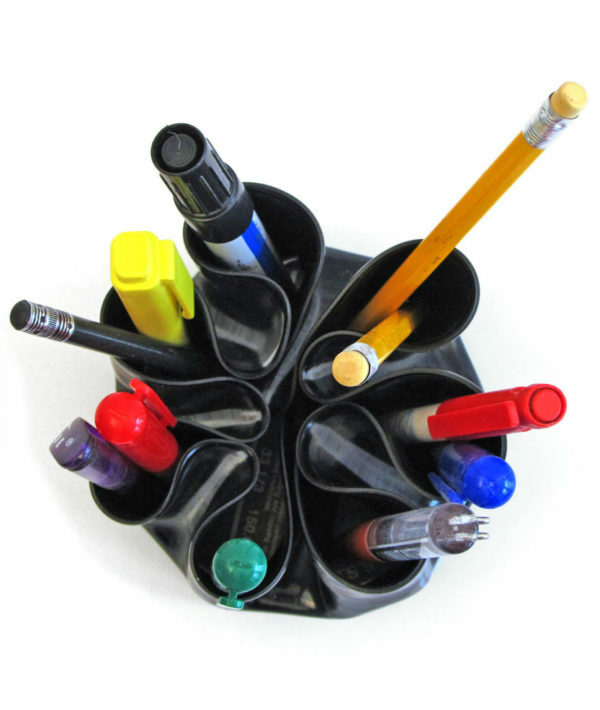 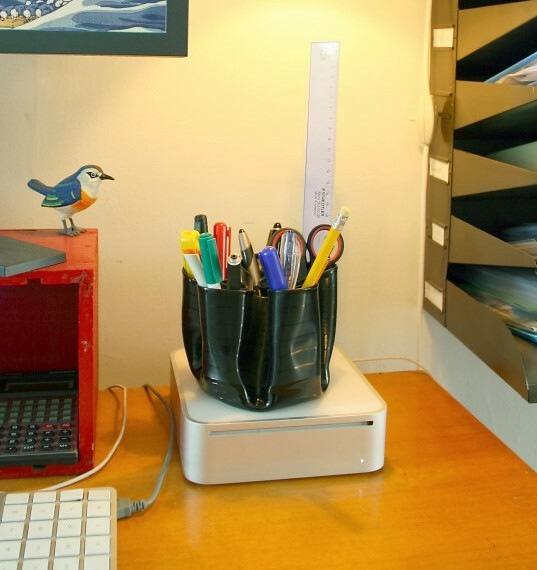 The Penman is made from a used vinyl record transformed into a cool stationary holder, a great eyecatcher and conversation piece for on your desk. 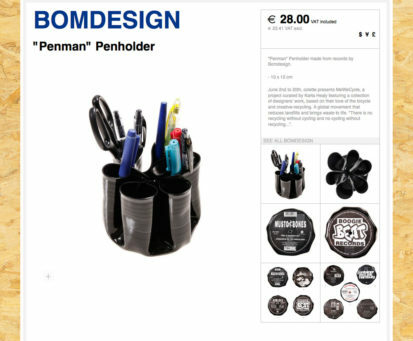 The Penman was born in a totally accidental moment. It has become one of Bomdesign’s icons which has been fabricated more than 1000 times. 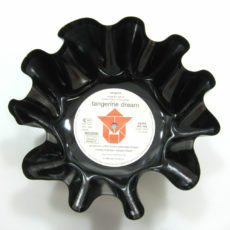 It is still being made by us with twenty fingers. 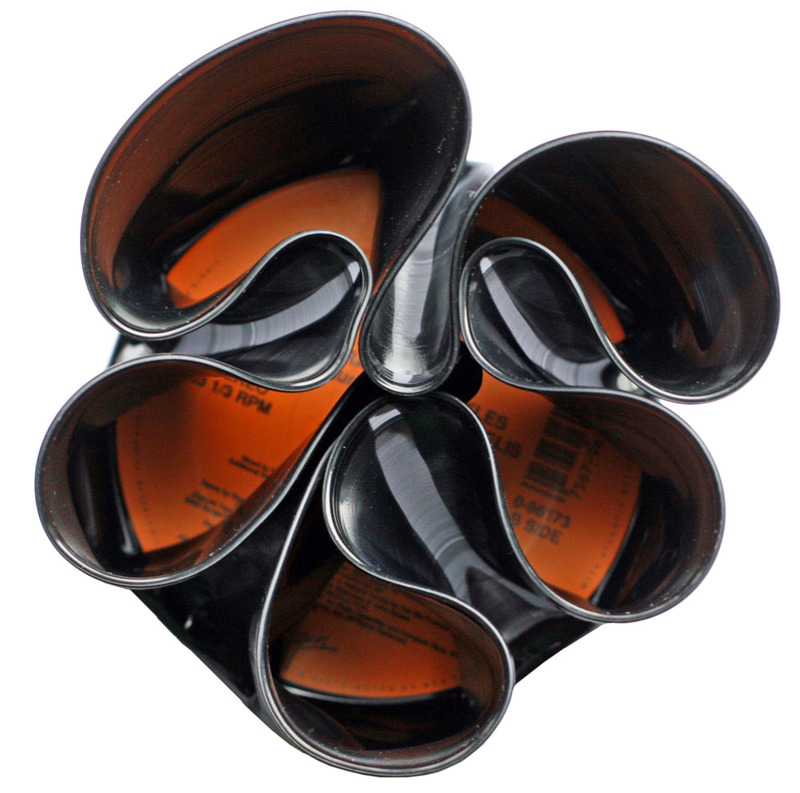 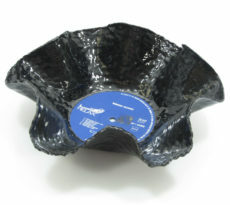 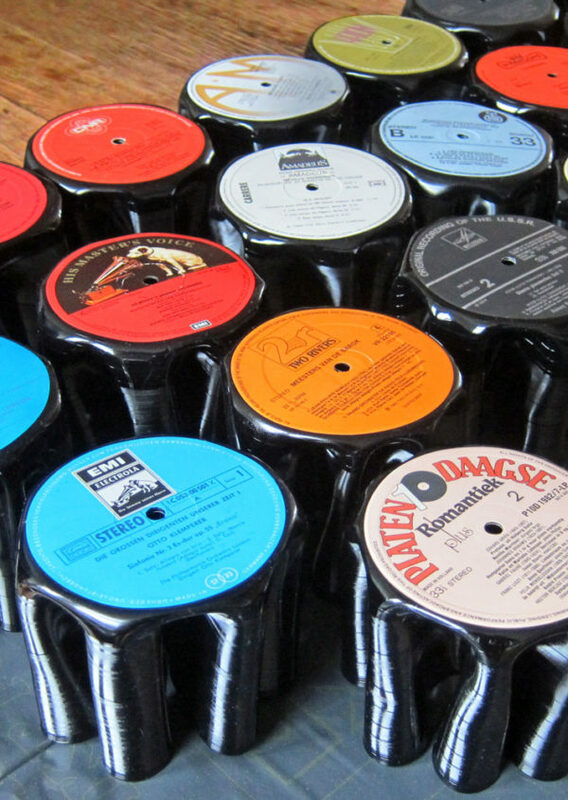 It is made from used vinyl records which we collect from our direct environment. 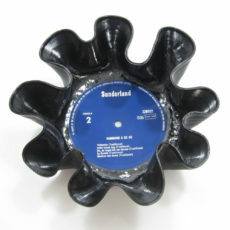 The penman on the photo’s might be different to the one you get. They can be ordered through the site and sent to you worldwide. 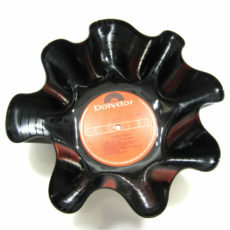 Height 10 cm, diameter 12 cm. 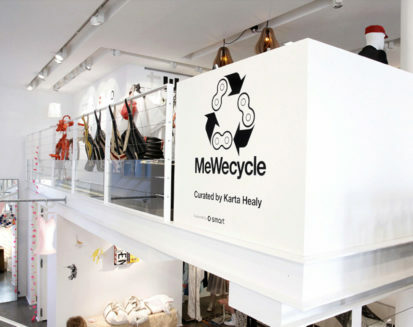 Exhibited and sold at Colette in Paris in 2009 with ‘MeWeCycle’ exhibition.